(Excuse the dodgey hair!) This is me wearing Burst of Coral. The week before last I was in London and was lucky enough to tag along to a Maybelline press event. It was held at a lovely central hotel and was complete with manicures/pedicures and stations to try out their latest releases. Maybelline has always been a firm favourite of mine. The brand brings out such fun and on-point products for a very affordable price. 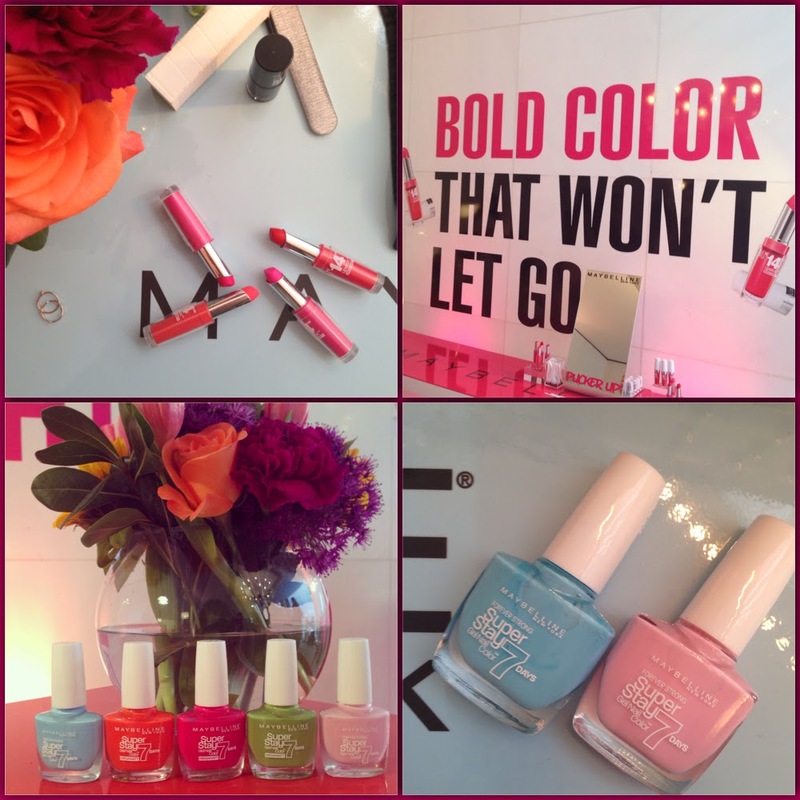 At the event Maybelline showcased their Forever Strong Super Stay Gel Nail Colours, their Better Skin products and of course, their 14 hour Super Stay lipsticks. The lip colours instantly caught my eye. What girl isn't a fan of bright and bold colours that promise super long wear? My favourite colour of the lipstick range is the one I am wearing in the final picture (again, excuse the dodgey, 'day-off' hair!) and that is Burst of Coral. It is a type of shade that I very rarely come across on the market. It's absolutely gorgeous; it's the perfect bright pinky coral, a true summer statement lip colour. Having tried and tested the lip colour, I can say that the formula does last well (I do periodically touch it up to retain a super bright lip), it smells AMAZING and the formula is really comfortable on the lips. The one downside to this for me is that the product doesn't go onto the lips completely smooth. However, I can get over this for the sake of a gorgeous lip colour and the because it is so bold, the lack of 'smoothness' is not that noticeable (as you can see from the picture). Have you tried any of the Maybelline Super Stay range? If so, what are your thoughts?